Sen. Harry Reid's China Stumble; Calls Hu 'Dictator' : It's All Politics Reid instantly realized his gaffe and corrected himself. He has a well-known knack for dropping word bombs, only to have to apologize later. This may be one of those times. The Obama administration was reportedly hoping that Chinese President Hu's state visit would go better than his 2006 one, when the Asian leader was heckled by a Falun Gong supporter at a White House ceremony and kept awake by late-night protesters in Lafayette Park. Unfortunately for White House officials, there are many things they can't control. One of them is fellow Democrat Sen. Harry Reid, the Senate majority leader. Reid was doing a television interview in Nevada Tuesday when the interviewer, Jon Ralston, asked him if he still thought the December Bush tax cut compromise was the "best deal for this country." Reid wanted to make the point that a representative democracy like the U.S., with its entrenched two-party system, calls for compromise. But he somehow managed to work into his answer a gratuitous slam of the Chinese leader. Jon, I'm going to go back to Washington tomorrow and meet with the president of China. He is a dictator. He can do a lot of things through the form of government they have. Maybe I shouldn't have said "dictator." But they have a different type of government than we have and that's an understatement. So we have to work in the system we have, the best system ever devised to rule the affairs of men and women. And one of the ways we get things done, in fact, one of the most important ways we get things done, is through compromise. Reid, of course, has earned a reputation for saying things he later has to apologize for. This may turn out to be one of them, especially considering the sensitivity of U.S.-China relations. 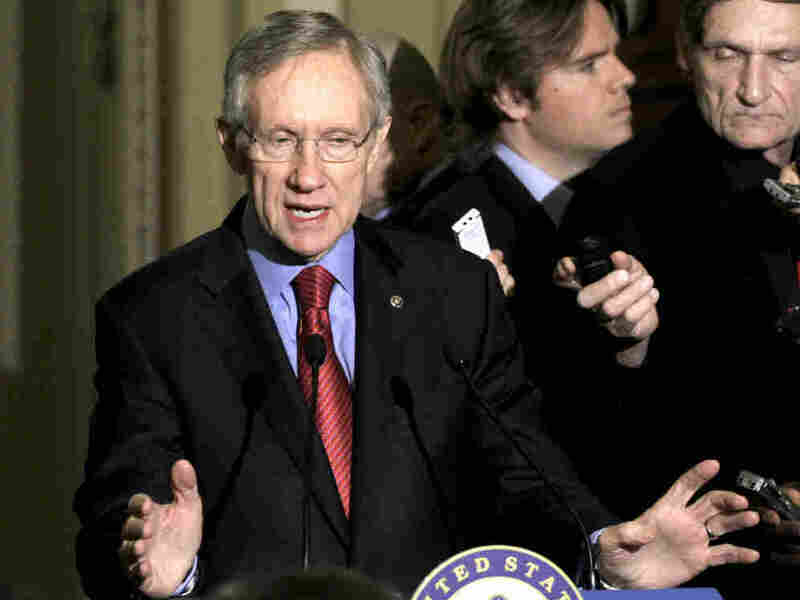 As Reid realized, the Chinese don't have a dictatorship. Instead, it has a system which is essentially leadership by committee. He's led the world's most populous nation for nearly a decade. Since the death of Mao Tse-tung, each successive leader, from Deng Xiaoping to Jiang Zemin to Hu, has wielded progressively less personal power. "The Chinese system has gone from being a one-man show to being run by a committee of leaders. There is no question but that the standing committee of the Politburo has a consensus that Hu has the most important role in decisions," said Li Datong, a retired Communist Partynewspaper editor who knew Hu personally in the 1980s, when the future Chinese leader was a top official of the Communist Youth League.